Host a Facebook Fundraiser to Support the Kids! 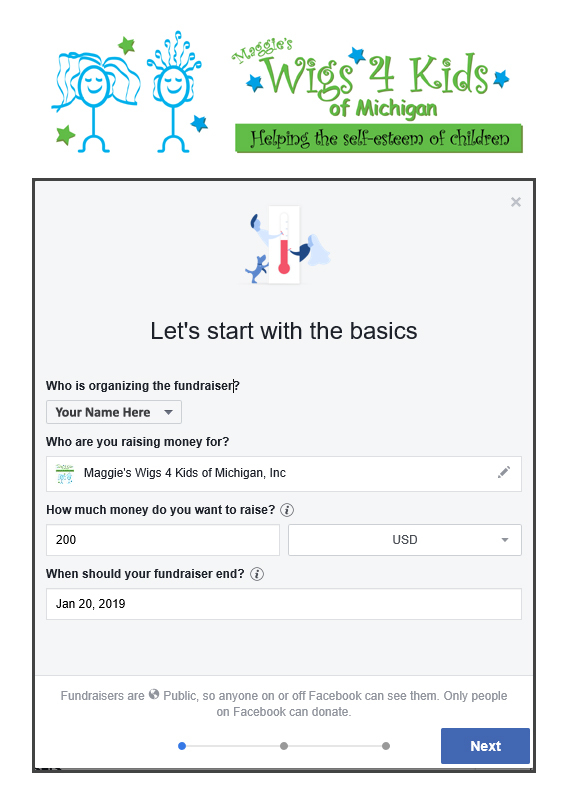 One of the great ways to support children at Maggie’s Wigs 4 Kids of Michigan is to host a Facebook fundraiser. Step-by-step instructions make it easy! 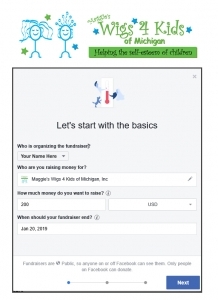 Simply visit this link and follow the prompts from Facebook: https://www.facebook.com/fund/Wigs4Kids/ Within a few clicks, your fundraiser will be live and you’ll be on your way to raising funds to help us serve more kids at no charge to them or their families. Thank you for your consideration!